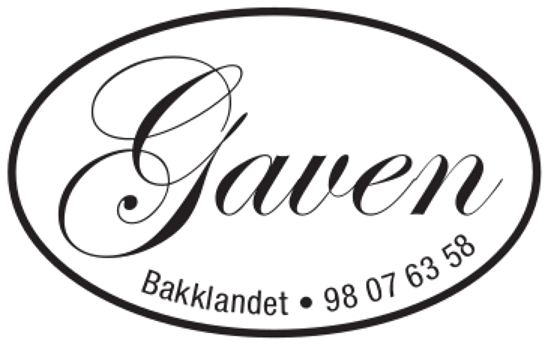 Saturday 13.- SUnday 14.June I will be at Gallery Gavens Art & Craft fair in Trondheim, at Sverresborg School. I am hosting the very first Group Exhitbition at my art studio Dalalåven Atelier 27.June-12.July. 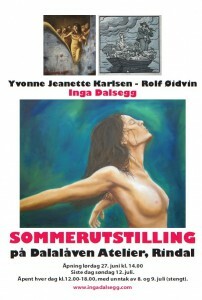 I have invited Yvonne Jeanette Karlsen and Rolf Øidvin to exhibit alongside me. 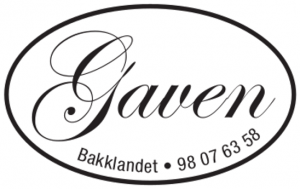 The opening times are 12-18 every day except from 8. and 9.July. 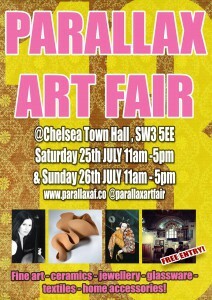 As mentioned earlier I am taking part in The International Art Festival in Brazil 3.-26. July. 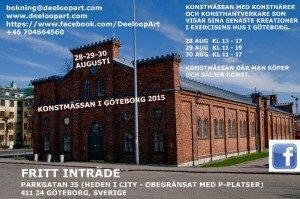 My paintings have already been popsted off, and I myself will be going there to be present at the opening. I have to admit I am very excited about this! 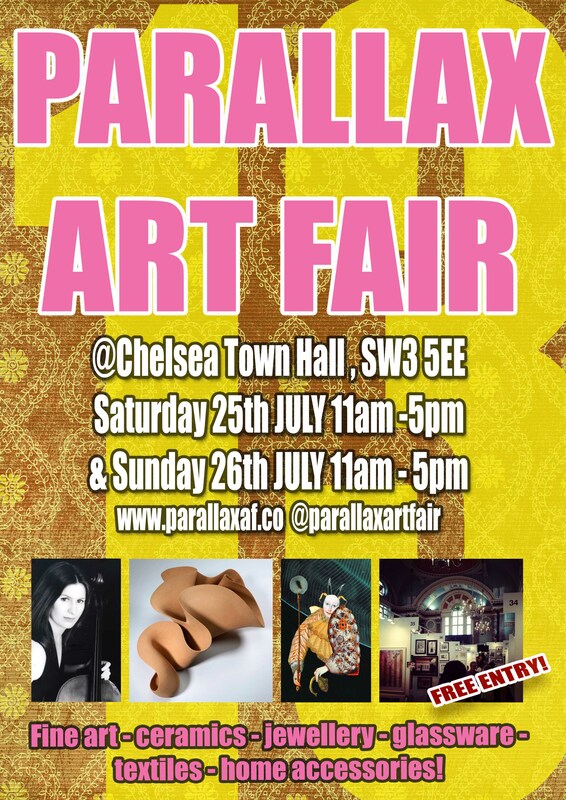 The next trip goes with a load of paintings to the biggest art fair in Europe, Parallax Art Fair in Chelsea Town Hall in London 24-26.July. 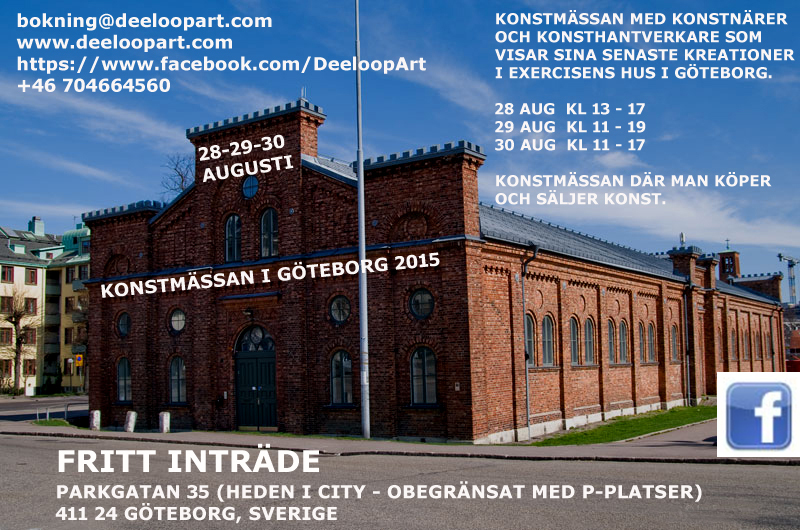 And the last art fair I will be taking part in this summer is in Exercisens Hus in Gothenburg 28.-30.August. After that one is finished I will spend some time painting more and preapring for all the Christmas fairs which usually starts about 2 months later!